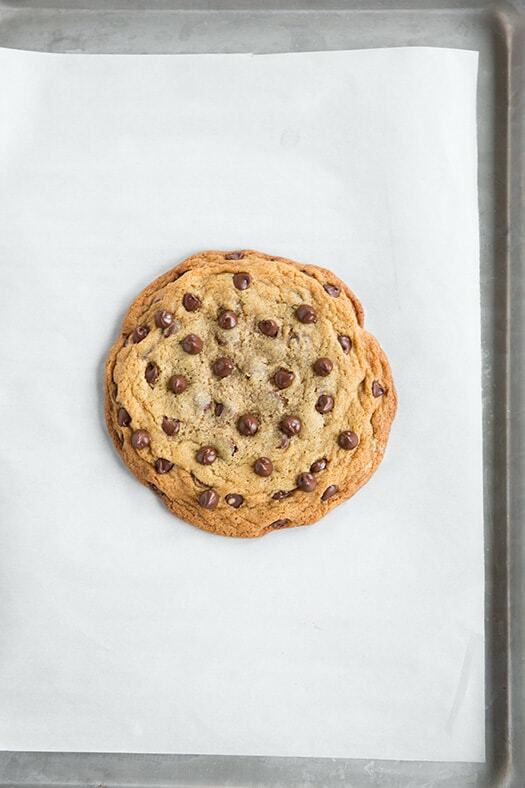 Everyone should try this chocolate chip cookie recipe! I kid you not when I say, for me, this recipe is EPIC! 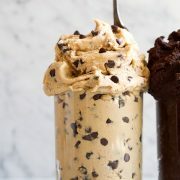 How many times do I sit around craving a chocolate chip cookie but I’m too lazy for the time and patience to make make a whole batch, plus I never want to clean up all the mess. 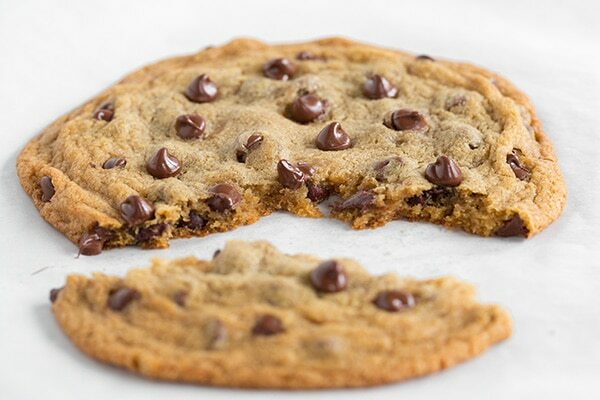 This recipe only takes about 5 minutes prep, a few prep tools, and a quick bake in the oven and you’ve got yourself an unbelievably delicious chocolate chip cookie! 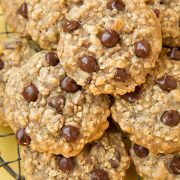 We are talking just the right amount of crisp to the edges, a perfectly soft, moist and chewy center and it’s laden with a generous amount of dark chocolate chips. 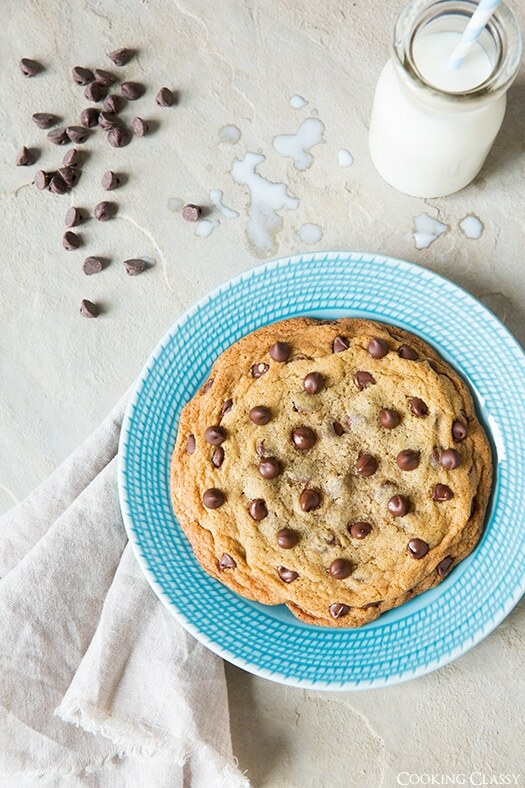 Just the way a chocolate chip cookie was meant to be but in this simplified single (or double) serving form (I list it as double serving, but we all know we’re going to eat the whole thing ourselves, right?). The other reason this recipe is so perfect is because how many times do we want a quick dessert to take to someone? Again no full batch of cookies here. This is the perfect pick me up or a simplified thank you for that someone and they’ll never have to know how easy it was to make. I know the egg part of this recipe is annoying, 1 Tbsp, gotta save or toss the rest. But it’s worth that little bit of extra effort. 1 whole egg would be way too much and I tried alternate methods like other recipes that use water. Not a fan, it tasted like flour with chocolate chips mixed in and had just an off texture. I’m thinking the little bit of egg is a must, then the following morning you can just add the remainder to scrambled eggs (mashed avocado, scrambled egg and sliced tomatoes on toast, oh yes!). This is one of my favorite recipes I’ve posted to this day, and one of the most dangerous for that matter. I can totally picture myself at midnight unable to stop thinking about chocolate chip cookies, then I’m going to remember this recipe. How will I resist? Try this, you’ll see what I mean :). Enjoy! This recipe only takes about 5 minutes prep, a few prep tools, and a quick bake in the oven and you've got yourself an unbelievably delicious chocolate chip cookie! Preheat oven to 350°F (180°C). Place butter in a microwave safe mixing bowl. Heat in microwave until nearly melted (you want it almost all the way melted, remove from microwave just before completely melted and stir to fully melt. You just don't want it too hot or it will cook the egg and melt the chocolate chips when stirring). To melted butter, add brown sugar, salt, 1 tbsp egg, the vanilla, flour and baking soda. Stir with a spoon until well combined, about 20 - 30 seconds. 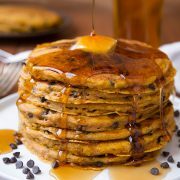 Mix in 3 tablespoons of the chocolate chips. 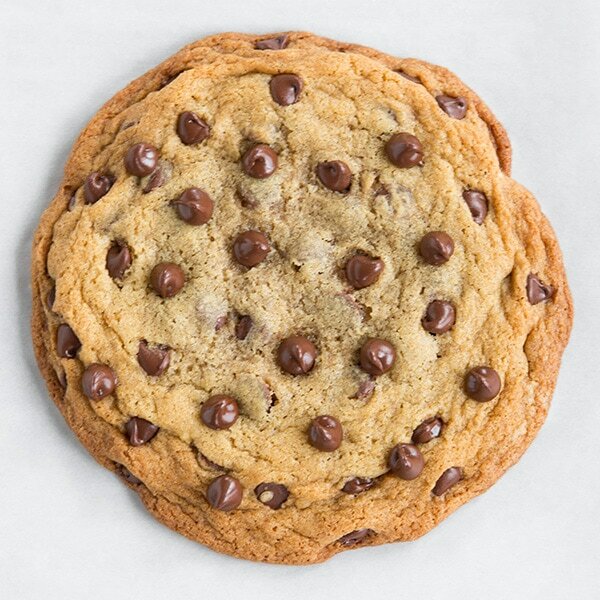 Shape dough into a 3 1/2-inch disk on a Silpat or parchment paper lined baking sheet, gently press remaining 1 Tbsp chocolate chips randomly over top and sides of cookie. Bake in preheated oven 12 - 14 minutes, until cookie is golden. Serve warm or allow to cool on a wire rack then store in an airtight container. *To get 1 Tbsp egg, crack egg into a small bowl, whisk until yolk and white are well blended, then measure out 1 Tbsp. Reserve remainder for another use (aka tomorrows breakfast). See how easy!? Now What are you waiting for? Go make one!